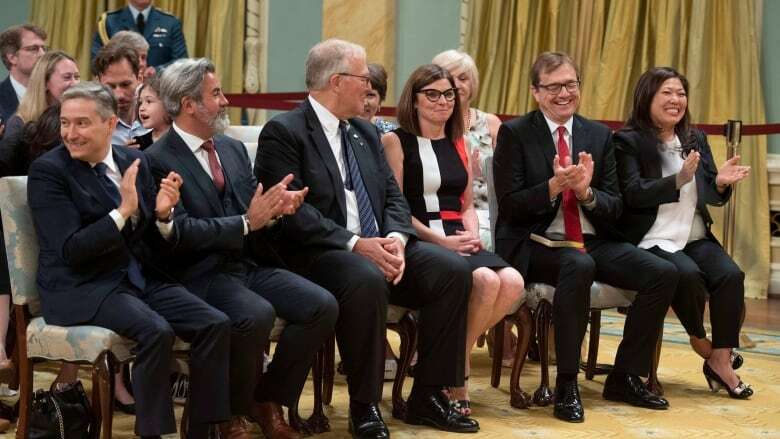 Prime Minister Justin Trudeau delivered a healthy dose of change to his cabinet Wednesday, creating new ministries and reworking others as the Liberals grapple with new provincial realities and an increasingly fractious relationship with the United States. The new faces and changes to the cabinet's composition reveal some of the government's top priorities a little more than a year out from the next election. The shuffle also gives a boost to some good performers, and a long-time member of the prime minister's inner circle. 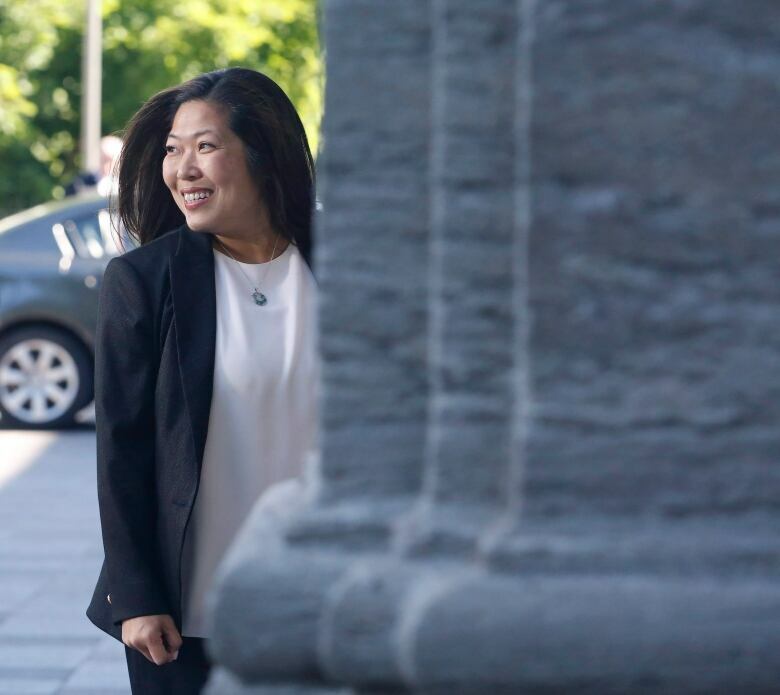 Mary Ng, a former staffer in the Prime Minister's Office who was elected in a byelection last year, was appointed minister of small business and export promotion Wednesday. 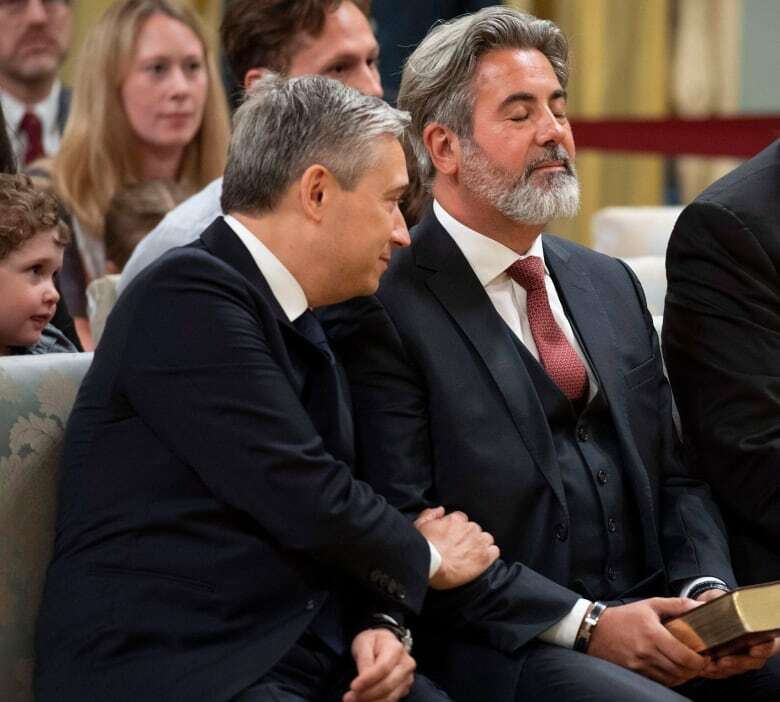 Ng has served behind the scenes, working for Liberal provincial ministers at Queen's Park and then directing Trudeau's appointments in Ottawa after the 2015 election. She revamped a federal appointments process that critics said was too partisan and plagued by patronage — including the introduction of a new "merit-based" Senate selection process — while facing criticism for the slow pace of change amid a backlog of judicial appointments. She is a close friend of Trudeau's chief of staff, Katie Telford. The two worked together on Gerard Kennedy's failed 2006 federal Liberal leadership campaign. 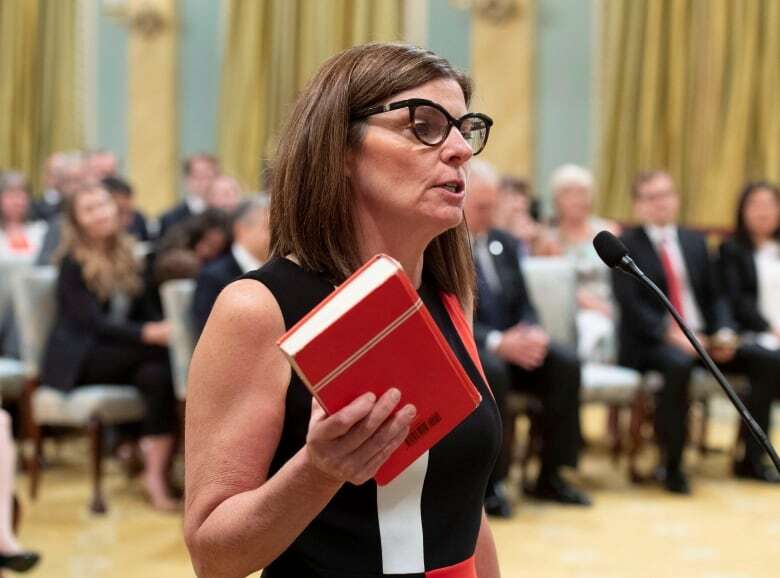 Kennedy, a former minister of education in Ontario, was backed by Trudeau in the race that ultimately saw Stéphane Dion picked to lead the party. After former immigration minister John McCallum resigned from politics to serve as Canada's ambassador to China, Ng ran and won the seat he had held in Thornhill, Ont. Ng, the daughter of Chinese restaurant owners, is the first Canadian of East Asian descent to serve in Trudeau's cabinet. "I'm really looking forward to digging in and working hard for small businesses in this country. And I know a little bit about small business — I grew up working in a small business ... it's where I spent most of my formative years," she said Wednesday. Ng will help Jim Carr, the new minister of international trade diversification, promote Canada's businesses abroad — a role that takes on new significance amid trade tensions with the U.S.
"Promoting small businesses to export more, ensuring that we're diversifying our trade, is a huge responsibility for this government and one we take very seriously," Trudeau said. B.C. 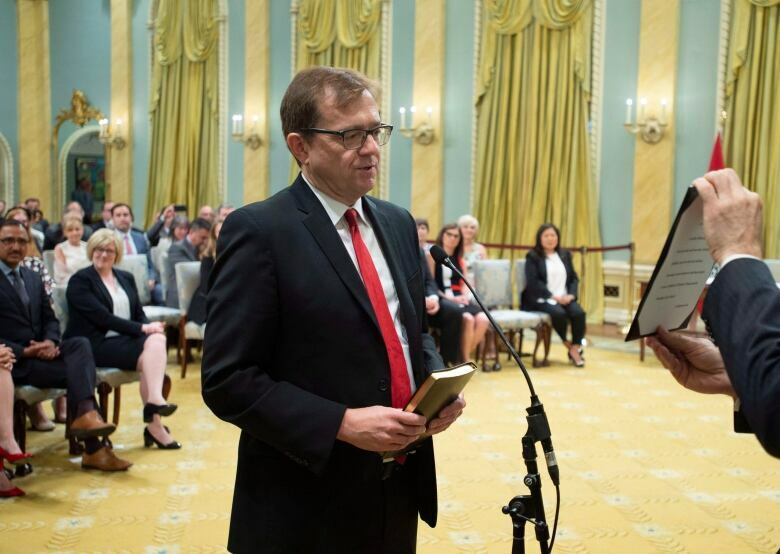 MP Jonathan Wilkinson, who, to this point, served as the parliamentary secretary to Environment Minister Catherine McKenna, will serve as the minister of fisheries, oceans and the Canadian Coast Guard. Wilkinson hails from a riding not far from the terminus of the Trans Mountain pipeline expansion project in Burnaby, B.C. Wilkinson has been a loyal foot soldier in the Commons in the face of entrenched NDP opposition to the project, touting the government's carbon pricing plan as one that gives social licence to construct a major natural resources project like the $7.4-billion pipeline that will soon be nationalized by Ottawa. Wilkinson, the first fisheries minister from B.C. in more than a decade, will be tasked with promoting the government's oceans protection plan, a "world class" program the Liberals have touted as a safeguard against potential oil spills that could result from increased tanker traffic after the Trans Mountain expansion is built. The number of tankers passing through the waters off the Lower Mainland will increase significantly — to nearly one a day — and local environmentalists and First Nations leaders are worried releasing diluted bitumen into these waters could destroy a traditional way or life and imperil the local economy. Wilkinson, a businessman with experience in the environmental sector, will be called on to assuage such concerns. Hamilton-area MP Filomena Tassi, the daughter of a steelworker who was first elected in 2015, will be the minister for seniors — a key demographic group courted by all political parties. The position is new in Trudeau's government but previous prime ministers have appointed a minister of state, essentially a junior minister, responsible for the elderly. Trudeau said Tassi would "help the government better understand the needs of Canadian seniors" and "ensure the programs and services are developed that respond to Canada's aging population." Tassi, a former school board trustee, told reporters Wednesday she already holds "tea and talk with Tassi" sessions with Hamilton seniors, something she could expand nationally. 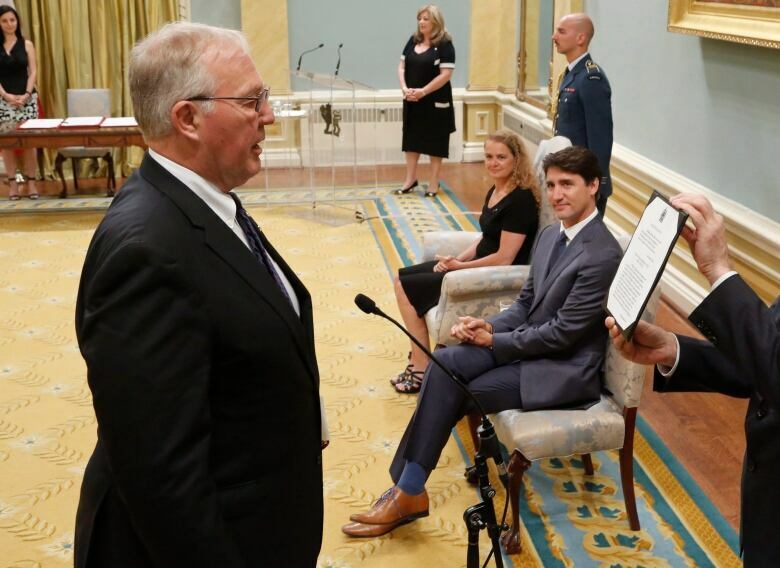 Another major change is the appointment of Bill Blair to a newly created ministerial position designed to solely address Canada-U.S. border issues and "irregular migration." Blair, who served as Toronto's chief of police before making the jump to federal politics in the last election, has also been the principal spokesperson to date on the government's cannabis legalization plan in his role as parliamentary secretary to the ministers of health and justice. Blair, who promoted the change as a way to crush black market sales of the drug, will also be focused on organized crime reduction. The Conservatives have been critical of the government's handling of the asylum seeker file accusing Ottawa of doing little to stem the flow of migrants crossing into Canada "irregularly" from the U.S. at points beyond normal entry sites. Tens of thousands have made the trek, which has stretched social services in Montreal, Toronto and Ottawa, cities that are housing these people as they await refugee board hearings to determine the veracity of their asylum claims. "The entire government has been working collaboratively with provinces and provincial and territorial governments on this issue," Blair said Wednesday. "I have been involved in those discussions, and now I hope to bring some additional resources and focus to those issues, and continue the collaborative work taking place. We know this is a concern to Canadians and we want to do everything necessary to address it." Conservative MP Michelle Rempel, her party's immigration critic, who has pushed for emergency parliamentary hearings over the summer to address what she says has become a "crisis," was already asking Blair to appear at the first of those meetings next week. Rempel has consistently said the Liberals have "normalized" irregular border crossings by refusing to apply the Safe Third Country agreement with the U.S. to the entire Canada-U.S. border. Montreal MP Pablo Rodriguez has also been named minister of heritage and multiculturalism, replacing Mélanie Joly who takes on tourism, official languages and La Francophonie. Joly was shuffled after she faced some controversy in her home province of Quebec for defending the government's decision not to apply sales tax on digital services like Netflix. Rodriguez is no stranger to the senior ranks, having previously served as the government's chief whip. Rodriguez, a native of Argentina who was first elected in 2004, will oversee a large budget that doles out federal funds to cultural projects, CBC/Radio-Canada, and the Canada Council for the Arts. The Prime Minister's Office said Wednesday Rodriguez will "help ensure the vitality of Canadian arts, culture and heritage while promoting the diversity and inclusion that makes Canada stronger."